Eggs finished in the oven frittata-style is great for Sunday brunch or a family-pleasing dinner any day of the week. An easy-to-make egg dish packed with protein and vegetable nutrients. Bring a large pot of water to a boil. Add broccolini and cook until very tender, about 6-7 minutes. Drain well. Transfer to a large bowl and toss with garlic and ¼ teaspoon salt. Set aside. Heat 1 tablespoon oil in a large ovenproof nonstick skillet over medium heat. 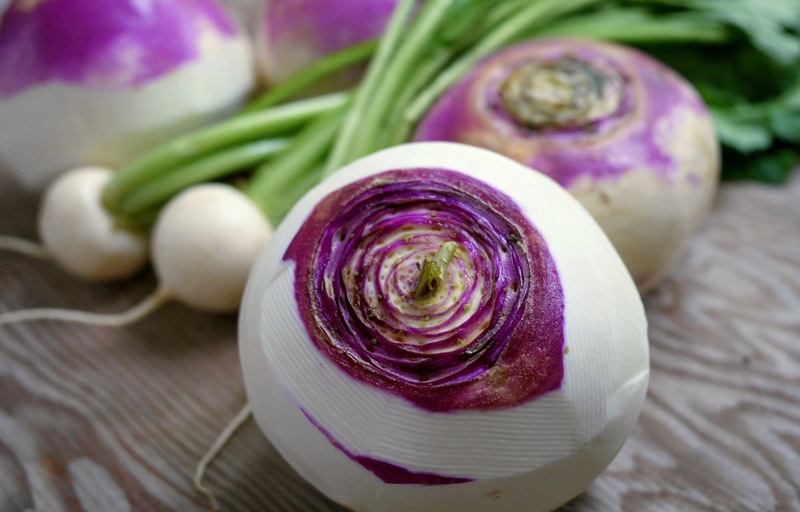 Add the onion, turnips, and ¼ teaspoon salt. Spread the mixture into an even layer; cook, without stirring, for 2 minutes. Then stir the mixture and scrape up any browned bits. Spread the mixture back into an even layer and continue cooking, without stirring, for 2 minutes. Stir again, spread back into an even layer and cook until mostly golden brown, 2 to 4 minutes more. Transfer to a plate. Wash and dry the skillet. Whisk eggs, egg whites, and milk in a medium bowl. Heat 1 tablespoon oil in the skillet over medium heat. Add the egg mixture and cook, stirring briefly, until beginning to set, about 1 minute. Remove from the heat. Spoon the turnip mixture evenly over the eggs. Top with cheese, then the broccolini. Transfer the pan to the oven. Bake the frittata until set, about 15 minutes. Remove from the oven and let stand 5 minutes. To release the frittata from the pan, run a flexible rubber spatula along the edges then underneath, until you can slide it out onto a cutting board or serving plate. Cut into wedges and serve.